Educator and leader, Judy Halbert is dedicated to social change, and has made great strides in educational innovation, leadership, and aboriginal enhancement programs in BC. She serves as co-director of the Centre for Innovative Educational Leadership at Vancouver Island University, co-leader of Networks of Inquiry and Innovation, and co-leader of the Aboriginal Enhancement Schools Network in British Columbia. Halbert is the Canadian representative to the Organization for Economic Cooperation and Development international research program on Innovative Learning Environments. She worked intensively with school leadership groups in Canada, Wales, England, and Australia, and is an active member of the International Congress of School Effectiveness and Improvement. 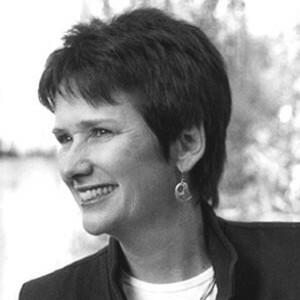 Halbert received her Masters of Education at the University of British Columbia in 1990 before moving on to earn her Doctor of Education in 1997. For both degrees, she specialized in educational leadership and administration. She has had a strong influence within the BC Ministry of Education over the course of her career, she served as a teacher, principal, district leader, and senior policy advisor to the province. In addition to her leadership initiatives, Halbert co-authored three very successful books: Spirals of Inquiry, Leadership Mindsets: Innovation and Learning in the Transformation of Schools, and Leading Professional Inquiry (in press). Her contributions were recognized in 2005 with the Distinguished Service Award from the BC School Superintendents’ Association, for outstanding contributions to public education.